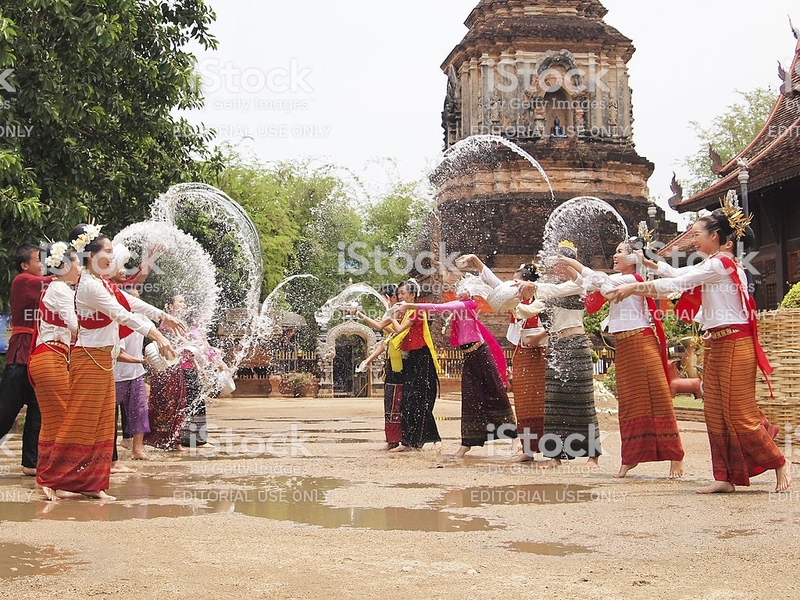 Chiangmai,Thailand – May 2, 2010 : people go to the temple for new year celebration and they splash the water to each other in that time. There are literally dozens of Thai courses and schools available in Chiang Mai to choose from. Finding the right one can be tough, but a few are consistently recommended by friends of mine here in Chiang Mai that have spent some time on the Thai language learning scene. Below you’ll find my pics for the top 5 Thai courses in Chiang Mai. My students have studied at all 5 of these places, and with several other smaller schools and private tutors that didn’t make the cut. These seem to be not only my picks but the picks of my students as well. The good:These guys are a time tested option for ex-pats who live in Chiang Mai and want to study Thai. A lot of people have studied here and have good things to say about them. I found the classes to be good, but a bit slow. The bad and the Ugly : They don’t offer student visas, even for long term students and the teachers also ignore the text and “teach from the hip”. The good These guys are a time tested option for ex-pats who live in Chiang Mai and want to study Thai. A lot of people have studied here and have good things to say about them. I found the classes to be good, but a bit slow. The bad and the Ugly They don’t offer student visas, even for long term students and the teachers also ignore the text and “teach from the hip”. 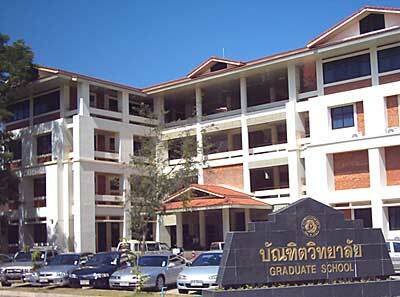 The good : Chiang Mai Unversity is regarded as Northern Thailand’s number one school, and with good reason. The language institute has a good reputation for their 45 hour Thai 1 course, when it is available. The bad and the Ugly : The 30 hour course is basically a paid educational visa program. You pay 30,000 baht, you study 4 hours a week, and you get a 1 year visa from the Thai government. The Thai 1 class is good, but often doesn’t open because of lack of students. They won’t open a class if they don’t have at least 6-8 students. The Thai 2 course rarely (if ever) has enough students, and Thai 3 has not ever opened (yet) that I am aware of. Hopefully once word spreads of their Thai programs, this will change as the Thai 1 class has gotten good reviews. My teaching place: Ground Floor of GadSuanKaew Mall. Office time: 8:30 AM. – 9:00 PM. The private classes are paid upfront in 20 hour blocks costing 300 Baht per hour.This works out at 6,000 Baht. Plus 100 Baht for each travel for outside lessons. The good : Of course, I have plenty of good things to say about our program, and I can confidently place us in the top 5 on this list. Granted I’m a bit biased, but we do offer private lessons from yours truly, in your home for as little as 300 baht per hour. At that price we are competitive with the other big universities and you will get more personal attention. The bad and the Ugly :There is something to be said for studying in a class with other people. You make friends, you meet people with similar interests and you can measure your progress against your classmates. So unless you can find a study partner, it will just be you and me. Also, if you don’t have a place for us to meet, you will have to come to our school in SanKampaeng and KadSuanKaew Mall, which is about a 25 minute drive from downtown or from outside of town depending on traffic. The good : Probably one of the best, and most intensive Classroom options in Chaing Mai. The instructors are top notch, and a few are authors of popular Thai study books here in Thailand. Some teachers do “teach from the hip”, but the classes are small and these teachers know what they are doing. The bad and the Ugly : By far the most expensive option in Chiang Mai. If you want a student visa, be ready to cough up an extra 4500 baht and 2 months tuition up front (you will need to do this every 3 months). Like CMU, there are also problems with the availability of classes after Thai 2 or 3. Thai 4 and above rarely opens as there are rarely enough students to fill classes. Because they have a large International College however, you can expect each level to open at least once a year. Try to contact someone in admissions to find out the bests time to start a “cycle” so that you can go through the classes with the students in the Thai language major. The Best information about Thai language Courses! Well, there you have it, my top 5 picks for Thai Schools in Chiang Mai. These are the big 5, and I’m happy to slot myself in there on that list. If you’d like to talk to some of my current or former students (many who have tried a lot of the schools in the area), give me a call, and I will gladly put you in touch with them! Let me know if there is anything else you would like to know about Thai Courses in Chaing Mai!! My teaching format for the beginning level is concerned with conversational communication for 20 hours and then moving forward to learning Thai script that will take another block of time. The lessons focus on daily usage. However, all lessons are based on student requirement. The private classes are paid upfront in 20 hour blocks costing 300 Baht per hour.This works out to 6,000 Baht for a block which is competitive with other private tutors. The classroom is in “Kadsuankaew” right next to the northwest side of Chiang Mai’s famous moat. This is centrally located and every songtaew and tuk-tuk driver knows the name GadSuanKaew so transport there and back is very convenient. Coming from everywhere in the city where you stay might take about 10-20 minutes. Within reason class times can be arranged around your schedule, So let’s talk about your exact dates and preferred times, and it’ll be easy for me to fit you in around my other students. 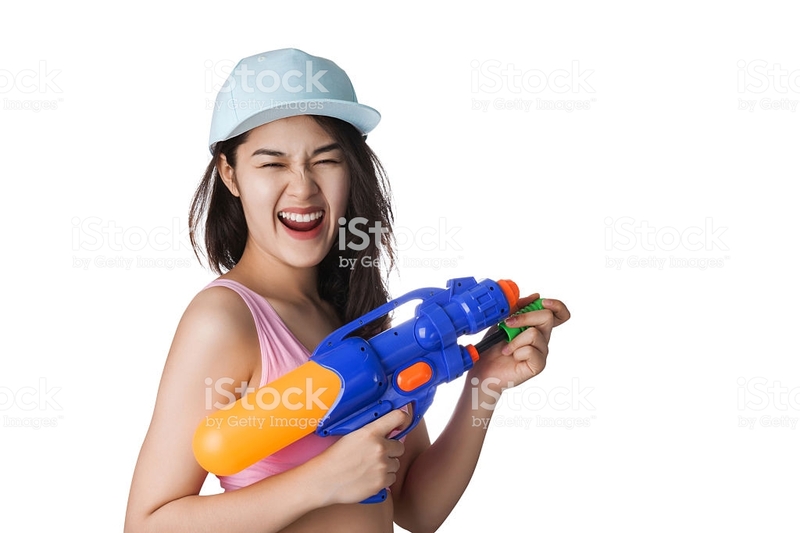 Young Asian woman holding plastic water gun at Songkran festival, Thailand. 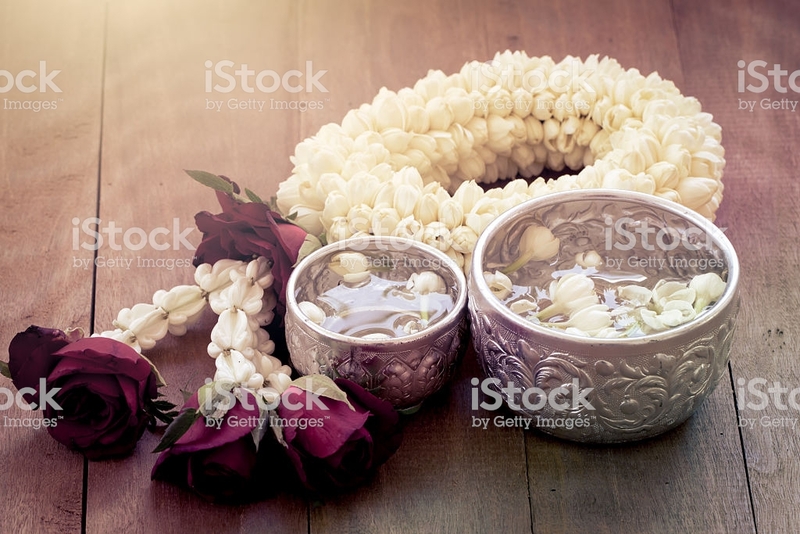 accessories for songkran festival in Thailand, Such as water bowl, flower, frangrant etc. 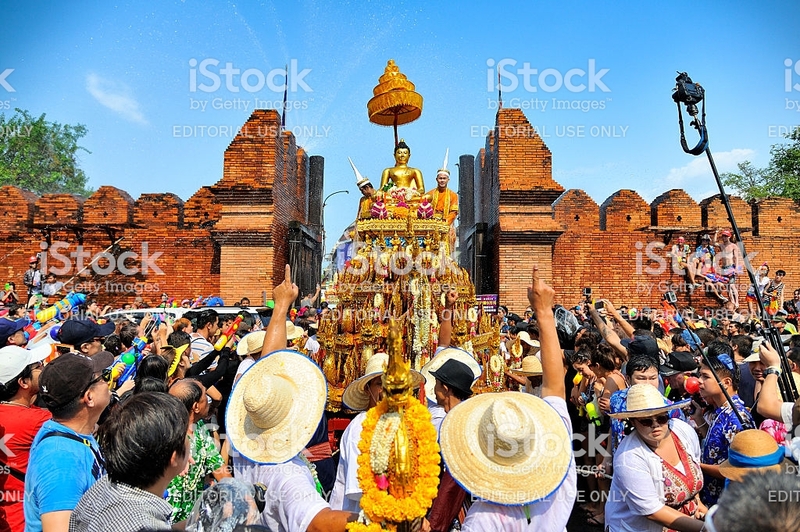 Chiang Mai, Thailand – April 13, 2015 : Chiang Mai Songkran festival, Unidentified men and women walking tradition of bathing the Buddha Phra Singh marched on an annual basis on Phra-Singh temple. with respect to faith during the annual festival. 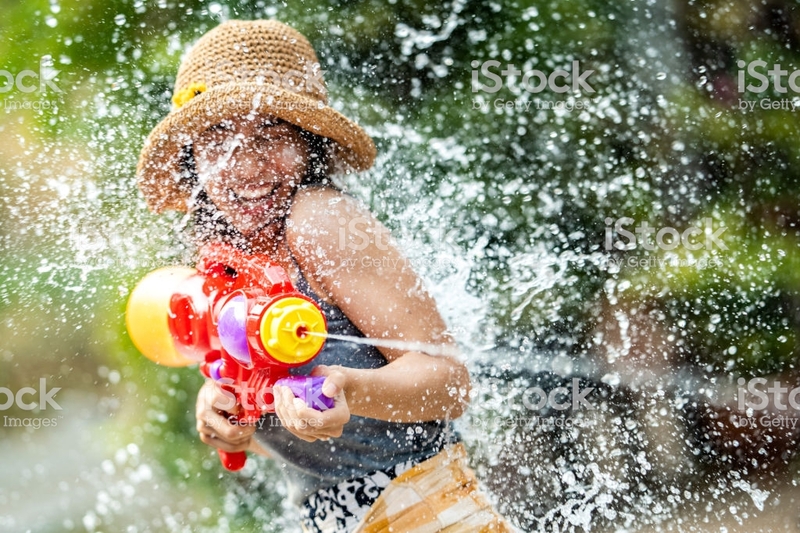 Hello Songkran, Everyone in April, this month is the hottest month of the year. It is also a month that is important to people in Thailand as well as our neighboring countries. The hot weather! But in fact, everyone knows that Songkran tradition is not just a splash of water. (Same every day with money) according to the old tradition that we have a splash of water. There is a request for blessings from adults, remembrance and gratitude to suffering and also a blessing ceremony from shareholders. 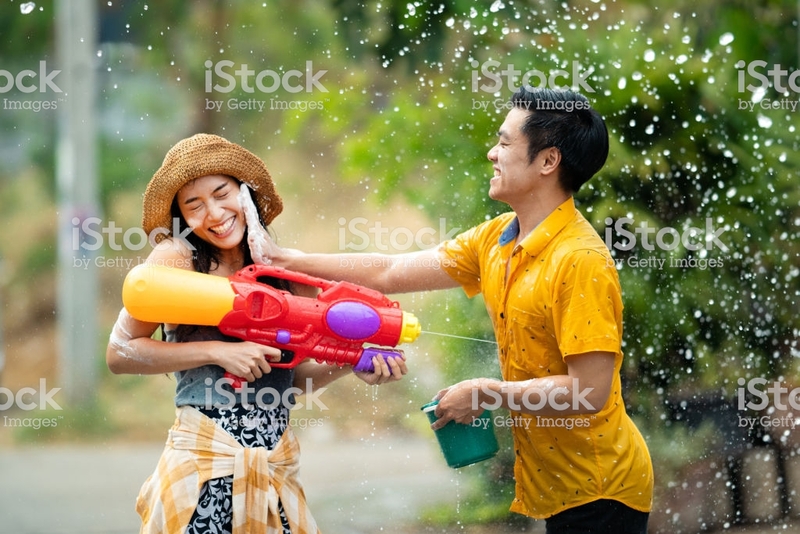 On the upcoming Songkran Day, I would like to share a little bit of knowledge about the Songkran festival for everyone to know more about this festival. 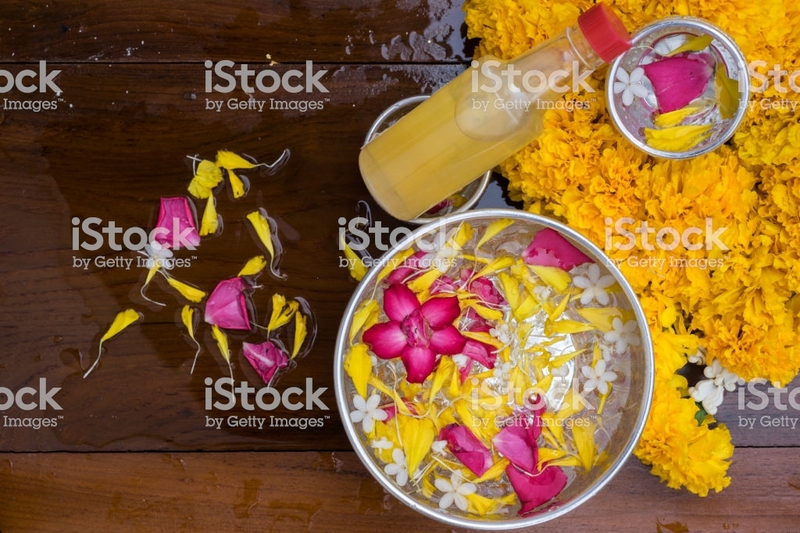 – April 13, Maha Songkran Day is the day when the sun moves away from Pisces into Aries. (National Elderly Day)- April 14, Wan-Nao is the day when the sun moves in. Aries is already in Aries. (Family day)- April 15, Wannachonkhon is the day that began to change the new Chulakrishna. 2. 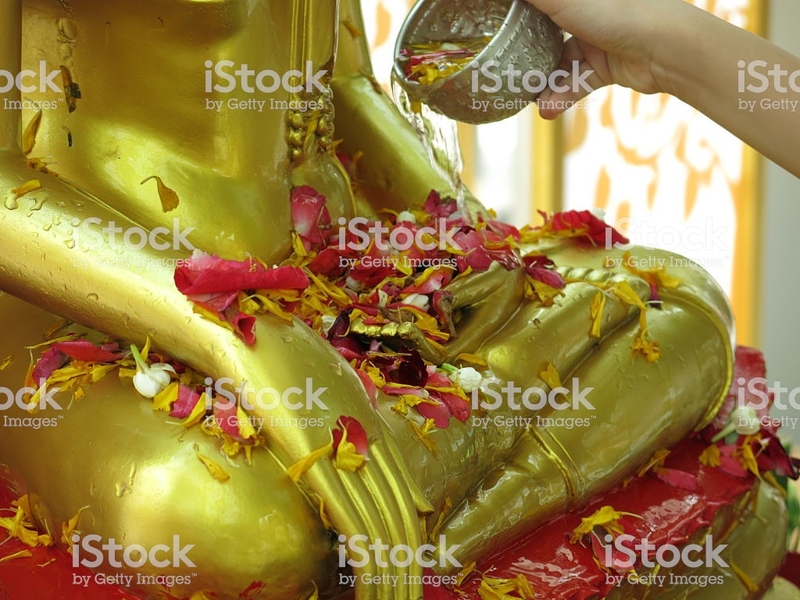 Songkran is an ancient tradition of Thai inherited from ancient times, along with the New Year tradition. So there is a combination of “Songkran New Year Tradition” is a royal statue of the New Year’s Eve, welcoming the Thai New Year. Before switching to 31 December as a New Year’s Eve instead And use date 1 mg. Price is the New Year’s Day in the year B.E.2483 (A.D.1940), like the other countries. 3. The word “Songkran” comes from Sanskrit, “Song-Kranat” which means stepping up, grilling, or passing through. Entering into the new Zodiac era Or the New Year itself. 4. On 14 April of every year Is defined as “Family Day” to encourage the day that every member of the family can live together Due to the Songkran holiday, it is a good opportunity for everyone to go home with their families. 5. Songkran is not the only Thai tradition. 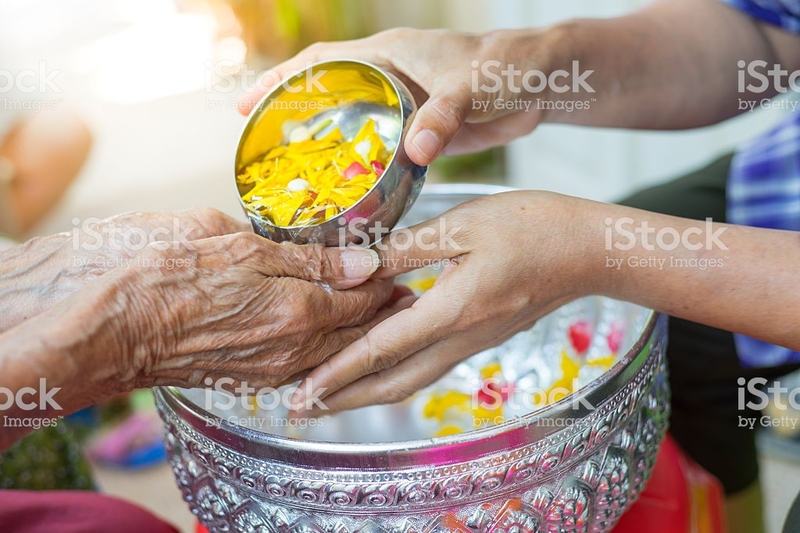 But is a tradition that has been celebrated in many other countries in Asia, including Laos, Cambodia, Myanmar, ethnic minorities, Vietnamese and Yunnan provinces of China. Sri Lanka and east of India. 6. There are many activities during Songkran Festival, such as merit making, offering alms to Buddha images and sand pagoda activities. Which is a tradition that was due in the past, when everyone entered the temple And when walking out of the day, there were sand grains attached to the feet Therefore, the activity of building sand pagoda is comparable to carrying sand back into the temple is gone. 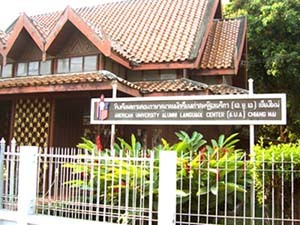 Chiang Mai University Language Institute – The course now is actually 180 hours undertaken over one year. Yes, they give visa support in the way of a document which enables one to secure a ED visa, while outside of Thailand (before you arrive) if the Thai Consulate sees fit. The course is still 30 000 Baht, this does not include any visa costs. Most Thai language course providers advertise the one year visa…but seldom (if ever) is it covered in your fees or gauranteed. After all, no language school has any control over Thai Immigration. I enrolled in the Payap program in January and was disappointed in the level available (level 5). I have been studying for a few years now and I want to take my language to the next level. I am waiting to see if they will have level 6 or not but it depends on having enough students. I went to a trial class and it was ok. It seemed good for grasping basic fundamentals and structure but not sure beyond that. It is hard to judge on such a limited basis. On other hand, I have been seeing Kru Simon for the last month and am pleased with the results so far. Lessons are less structured but helpful if you see him regularly. He is like having a good Thai friend who is also a teacher and not too krengjai to correct you and make suggestions. simple, yet effective. A lot of times it’s difficult to get that “perfect balance” between user friendliness and appearance. I must say you have done a awesome job with this. Additionally, the blog loads super fast for me on Safari. Exceptional Blog! 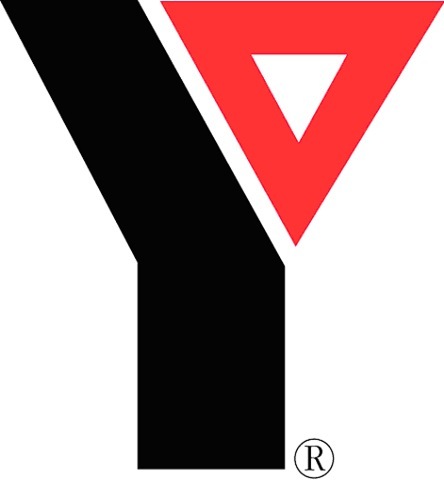 Thank you for the advice on Thai courses, but I think you missed the information for the YMCA course. It is the same as AUA. I know this is a rather old post, but I just completed a year of Thai at CMU and wish I could say it was a wonderful and valuable experience, but in actuality, my particular experience was about 2 stars, and at times 3. I wouldn’t put it on this list, not with my experience anyway. I know many had a poor experience. I hope many had an opposing one, but I want to share mine with you. According to my teacher, LICMU reopened after the major theft debacle a few years ago and I was informed by friends of my Thai fiancé that, despite that, it has a good reputation. The administration seemed as though it was a formal and structured course with strict rules and regulations. It seemed reputable, after all, it’s a university. Well, things were not as I was told they would be. I don’t know if it’s the teacher or the administration itself, but as far as I can tell, both are in part responsible. The teacher for not really leading and the administration for not knowing their staff. Things were not structured, at all. The first few months were ok, with the exception of the long breaks disrupting the learning process. Then students started leaving for various reasons. I understand people have lives, so it was sad to see new friends leave. Class went from 7 to to 5 quickly and from 5 to 3 even quicker. Unfortunately, as the class shrunk, so did the teacher’s motivation for teaching. No attendance rules, no quizzes or tests, no accountability, no structure. Field trips because a husband and wife couple (the other 2 who made it 3 with me) didn’t really want to learn anymore and mostly just wanted visas I guess. So, in about 2 months I learned about 1 week’s worth of material. As class fizzled out and I was the only one left, and after about 4 schedule changes and a total of 6 months, I was still interested in finishing the books we were only about halfway through. So, my teacher had me join a different class of hers, which was very far behind me. So, again, I was bored. Previously, the teacher played “catch-up” with all the slow students, who were slow because they either didn’t study or didn’t show up. So much for the strict attendance policy! Class fell apart and I wondered why I even came. If we studied it was me reading the same story for the 5th time or more and the teacher, after getting frustrated, telling me to explain things that were not understood. What!?! I got my certificate because by this time the class finished on the calendar, but not in material, and continued to join a class, which fizzled out during my second class because people switched teachers. Drama! By the time I actually finished class I was with only 1 other student and the books were still incomplete. I didn’t even take the final test because I was sick but it wasn’t necessary to complete the course. In fact, I never took any tests. Just a quiz and a speaking “test” at the end. I liked my teacher, unfortunately, she’s not a very good teacher unless you’re an “easy” student and she doesn’t really have to teach. Despite this experience, I knew of others who had a teacher they liked quite a bit so I decided to start a second level course with someone who I was told was very good. We just needed 5 students willing to open a class around the same time, for visa extension purposes. Well, that’s nearly impossible when classes fizzle out and there were not even 5 students completing a level 1 course at one time! About 3-4 of us came together to join a class. We each contacted the administration to inform them and see what we needed to do next and what they could do to make the visa situation work. Some got answers, others, like me, could never reach anyone. Never in the office and didn’t answer questions fully via email. Didn’t even end the email with their name so I never knew who I was corresponding with. The guy in charge of the Thai courses didn’t even respond to my direct email. He forwarded it to someone else who signed off with a blank space so the email signature was all I read, “LICMU Administration”, or something similar. Needless to say, after 2 months of basically getting nowhere and being told I couldn’t sign up and make a down payment until our 5th person was found, by us, and for a class that would be 3-4 months out, I quit. They seemed upset but I didn’t care. I told them I found a place that was willing to communicate, effectively and rapidly, with me. And that the teaching style was all inclusive! No teacher shutting you down when you have questions. Instead, explaining! So, I am now about to take a level 1 course at a new institute until I am up to speed and the gaps are filled, at which point they’ll let me start a higher level and pro-rate the course! They open classes with only 2 students and are very personable and work WITH you so they, and you, succeed. Effective Thai. That’s the place. East of the river. Try them, or almost anyone, before CMU. They even walk you STEP BY STEP through the visa process!! If you do try CMU, sit in on a few classes with different teachers and hang out in the commons area by the coffee shop and talk to the students taking the course. Find out their experience and get a good teacher. And if you want to further your studies, search for people well before your first year is complete! Supposedly CMU is actually following protocol as of January 2014, but I wouldn’t know, nor will I be finding out anytime too soon. I hope they are. I hope they can pull the loose ends together and tie them into a neat little bow. But if they don’t, I won’t be there to feel it unravel, thankfully! i have experiences that happened to me about Thai Learning in ChiangMai. i was so upset myself once when i was first day arrived ChiangMai that i can’t understand a Thai lady at store, trying to buy an item, just not long conversation there, and she tried very hard to speak English to me………….but doesn’t work that i couldn’t understand at all. So i gave up on buying and walked away. this such situations happened to me almost every day, that annoyed me often when iam thinking to do something important. Later…….the only way to make this easy is speaking Thai……….so then find many Thai schools in ChiangMai, i chose the best Thai Course at Banpasathai school, on their school profile saying that many foreigners finished from here and most of them are satisfied of this School as i talked to an American man who just finished the Thai Class. and his Thai skill is excellent! i went to take the Thai Class decidedly, i applied for private lessons for many blocks of 20 hours each. a year later…… i speak Thai with confidence, it’s amazing! that i learned lots of thing from Thai people i spoke to…….they have something amazing hidden in their life, we never know till we speak their Language. that’s all i need to share for now. here is number for the school 083-4805254. As a tourist I spent about twenty hours learning Thai with Simon. It was a great experience. For one thing: Simon is really experienced in teaching — he has so many tricks to help me remember words quickly, and his explanation is always clear and precise. Haven’t tried out any other schools yet, but I’m pretty satisfied with Simon. Thank you very much Yang, for your nice comment. See you later. After trying to teach myself Thai for a few months (not much progress) and taking a group class for 45 hours (pretty good progress), I decided to enroll with Kru Simon of Banpasa Thai for 20 hours. My friend suggested him, and she was very happy. After finishing the 20 hours I was so satisfied I immediately enrolled for another set of 20 hours! You can tell Kru Simon has been teaching a long time and is very experienced. He was flexible as to what I wanted to learn, but still gave a lot of structure and tips on what I needed to improve next. I was also glad that after a short while I could read Thai characters well enough so that he could write all new words in Thai, giving me a large (>500) collection of vocabulary that I am learning on my own now. ขอบคุณครับ! It’s really worth it to get the 1on1 attention, because the teacher can focus on your pronunciation, quickly tell you the back story of some word or expression, and just personalize every lesson. Kru Simon also has this habit of giving you a mnemonic for almost every word worth remembering, so it sticks in your head. In the beginning I found this a bit confusing, but it works! There’s still a lot of words that I remember just because of this little mental helper. He’s also great help when trying to learn the Thai alphabet, as he can put structure in the many letters that is hard to get from books or on your own. Why can low class never be low tone? Why doesn’t dead stop need tone marks? What is up with all those crazy “s” letters like สศษ? And I can deduce the pronunciation of most simple Thai words, including the tones! Of course I have ways to go, but I was very happy with the progress I made while studying with Kru Simon. For such a short amount of time, I learned a great deal. I took the 1 year couse at CMU. There are only 2 teachers. I studied with Mr Dtum. He is an excellent teacher, enthusiastic and engaging. Each student gets some personal attention every class. He often joined us in the cafeteria during classroom breaks. 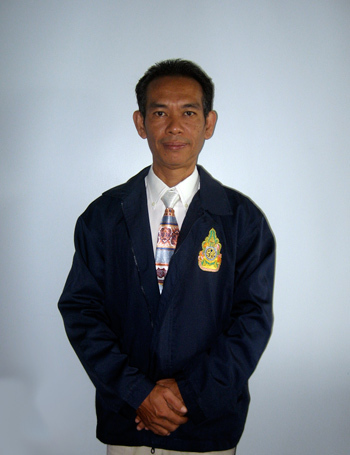 He has 10 years experience teaching Thai to Foreigners. If you want to learn Thai, Mr Dtum is highly recommended. If you just want an Ed Visa, there are easier places. The class started with 12 people and got smaller over the year. The class is taught in English and some foreigners didn’t understand enough English to keep up. Some students only wanted an easy Visa and stopped after a few weeks. Students can skip 10 classes before being expelled and having their Visa canceled. There is a dress code: long pants, dress shirt, dress shoes. Farang students mostly ignore the dress code. The bureaucracy complains, but most Farang dress for comfort in the tropical heat. This is Thailand so there is a lot bureaucracy and a LOT of office staff. There might be more staff than teachers! Most of the staff are charming and and helpful, a few are unpleasant. Some seem to have xenophobia, some are professional bureaucrats just collecting a paycheck. Expect 3 or 4 trips to the office to get started. And you have to visit the office twice every 3 months for more Visa paperwork. Streamlining the paperwork does not seem to priority. Expect some minor langauage barriers… There is one native English speaker on the staff, Mr Kareem from India. But he is not there to help students. He spends his day avoiding students, hiding in a corner of the main office playing computer games. I heard that his main job is telling unhappy students that they can’t have a refund. Thai culture is not very good at saying “no” so they hired a foreigner. The school reserves the right to expel students for any reason and has a strict “NO REFUNDS” policy and makes students sign a form agreeing to the policy. That should be a warning. Spend some time talking with the staff, and maybe sit in on a few classes before paying the 30000 baht fee. The 30000 baht fee doesn’t include a student ID card. That costs extra and requires more forms, fees, photographs, copies, and at least 2 trips to the office. “full use of University facilities” is marketing hype. Everyone, not just students, can get a CMU gym card for 300 baht, or a library card for 200 baht. HOW TO APPLY FOR AN EDUATION VISA WITH NEW STAMFORD SCHOOL IN CHIANG MAI ? Applicants must enroll in a full – time English course, Thai course or Chinese (Mandarin) course with New Stamford School. WHY YOU SHOULD STUDY WITH NEW STAMFORD SCHOOL? –	Class sizes are smaller. –	You will be taught by a native speaker who have the knowledge, and experience. –	We aren’t just a language school. We will be your second home. With our Education Visa Program, you can study Thai language and culture. Whoever you are, wherever you come from. You can register ED VISA with us! You will learn easily and progress quickly. I am looking at applying for the language class at CMU for two reasons, they offer support securing ED Visa and the location is close to where I will be staying. However, their administration staff hasn’t been very helpful and supportive. I want to enroll the class before I enter Thailand so I can arrive on the ED Visa, but they’re irresponsive or not providing the full details to answer my questions. Now, I probably will have to go to Thailand on a tourist Visa and then apply for ED Visa in Thailand. The feeling I get is that they are dodging my questions, or that they don’t care to enroll me. Of course, this is not a true representation of the education they provide, but the lack of professionalism in the administration staff makes me insecure to pay them 35,000 Thai Baht.